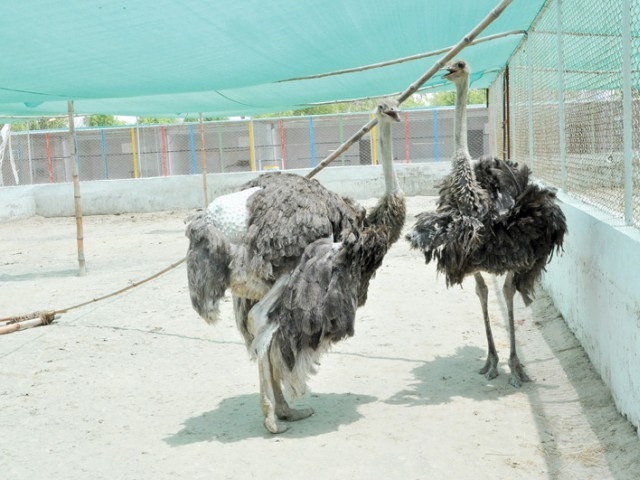 The condition of the animals is gradually deteriorating at Rani Baagh, Hyderabad’s main zoo, spread over 53 acres, which also houses several lawns, a park and a funfair, among other attractions. It is perhaps due to the unnatural habitat in the enclosures and the fact that the zoo has been in constant decline. Standard zoo protocol requires providing adequate food, water and space for the animals and the purpose of a zoo is to provide entertainment to the people, along with conserving endangered species and providing a place for research and education. The Rani Baagh, however, seems to be providing little in terms of entertainment and attraction, and even less in terms of helping the animals. The enclosures come in two sizes; the smaller ones house the monkeys, the wolves, the birds and a fox, while the deer, goats, peacocks, crocodiles, zebra, llama, ostrich and a pony horse are kept in the larger ones. The zoo once housed a lioness, brought during the November 2008 inauguration after its renovation, but she died after a year. In many of the enclosures, animals are exposed to sunlight for prolonged periods of the day as the shabby cloth covering the roof of the fence has been torn apart. The number of visitors not unsurprisingly has been steadily dwindling over the years. Daily income from the gate passes – Rs10 per person – has fallen from Rs 2,000 to a mere Rs1,200 on weekdays. Weekends, however, still fetch somewhere between Rs 8,000 to Rs10,000. The contractor who buys food for the animals has not been paid for several months,” reveals a zoo staff member. Therefore, he no longer brings enough food as his monthly bill is a significant amount, usually between Rs 400,000 and Rs 450,000. There is just 10 kilogram of beef daily for four crocodiles, six foxes and a wolf. Due to non-payment of electricity bills, the zoo’s electricity was cut off five months back and is yet to be restored. 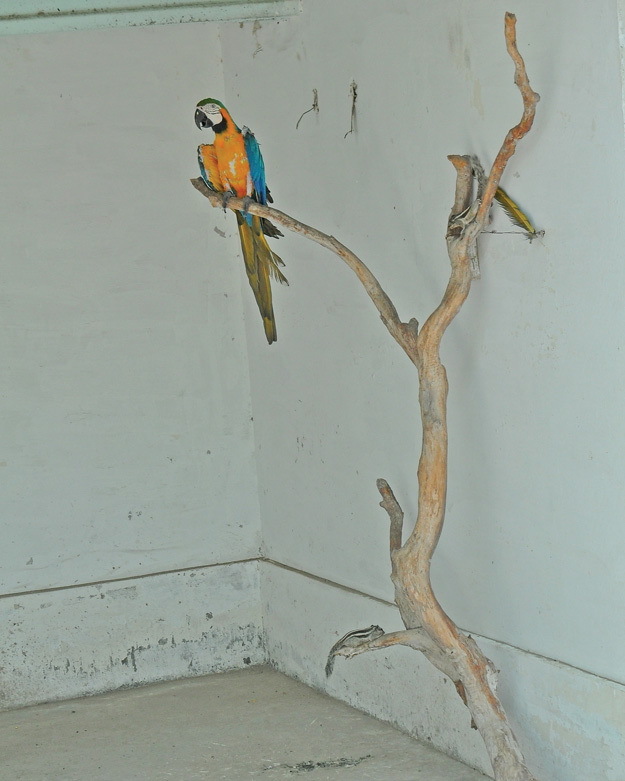 The Rani Baagh comes under the Municipal Administration of Qasimabad and zoo officials are refreshingly honest in accepting its shortcomings, in terms of the number of animals and the way that they are kept. “There is no fixed budget for the zoo. We can’t even afford to pay salaries or buy medicine for the animals,” says Ali Raza Shoro, a grade 14 staff, who has been made the acting incharge, a grade 17 post. He claims that since assuming charge, he has written multiple letters to the chief minister and the local government secretary to approve financial grants for the purchase of animals. Through its gate pass contract, the zoo makes over Rs3 million annually, according to Qasimabad Municipal Committee’s administrator. This amount is considerably less as compared the Municipality has to spend on food alone. The total revenue generated by the Rani Baagh is around Rs13 million per year thanks to its other attractions. The Administrator, like Shoro, also has written several times to the provincial government, but to no avail. He claims that the department does not pay him for this additional duty. Three animals, including a male ostrich and a deer, recently died of paralyses within a week. The vet claims that they were given medical treatment during the last two or three days of their lives but could not survive. 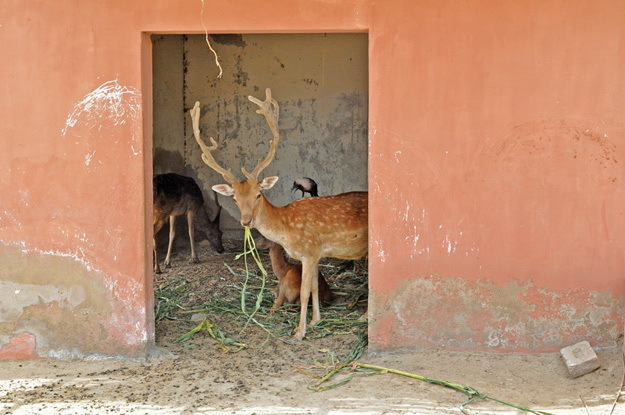 Dr Ali Murtaza Dharejo, a zoology professor at the Sindh University, says most of the zoos in Pakistan will be shut down if animal welfare laws are enforced. “It is better to convert the Rani Baagh into an amusement park than to keep on gradually killing the caged animals,” he says. He complains about zoo’s management. A manifestation of this can be seen in the way its inchrage, Ali Raza Shoro, posed for a photograph with the flayed hide of the dead ostrich. “I gave it as a gift to a friend so that he can display it,” Shoro admitted. Riaz Khan, a municipal employee who worked at the zoo for three years in the late 80s and early 90s, finds many oddities when he looks back at his time at the zoo. Monkeys are being kept in bird cages, over two dozen goats are cramped into two separate enclosures and there are over half a dozen enclosures filled with nothing but the common deer.